Livingston kitchens and bathrooms pride ourselves on high quality products & workmanship Our kitchens are fully designed by highly trained CAD designers who will make the most of your space giving you a practical and efficient kitchen. We supply & install our kitchens & bathrooms start to Finnish so you don't have to arrange anything, we have skilled tradesmen in all area from joiners, plumbers to electricians so everything is taken care of. Our supplier uses high quality german products and your kitchen is made to measure so even the most awkward of room sizes can be overcome and made into an amazing kitchen. 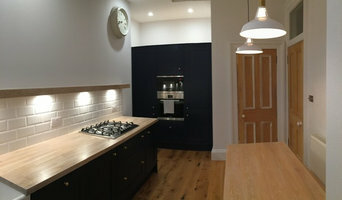 Brooklyn Kitchens designs and installs bespoke fitted kitchens throughout Scotland. Together we have over 40 years of design, manufacture and installation expertise. 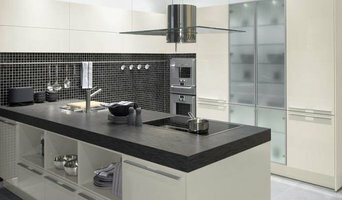 We will help you choose a stunning new fitted kitchen at a price within your budget. What we do: We have extensive knowledge and experience of traditional painting skills for new and existing kitchens, that have been used by craftsmen for centuries, and I have used that knowledge to build a business that transforms mundane pieces of everyday furniture into unique masterpieces. Tradition: Having served my apprenticeship in our family-run decorating business, established in 1960. I now use the skills passed on to me by my father in the decorative paint finishes applied to furniture. Most of the modern paint finishes are simply an adaptation of techniques used by craftsmen in years gone by. One of the changes within the paint industry, I have experienced, is the wide spread introduction of water based paints, this has lead to much safer working conditions, it also has less impact on the environment. Craftsmanship: We specialise particularly in fitted kitchens and fitted or freestanding bedroom and bathroom furniture usually designed and manufactured by local cabinetmakers/kitchen companies.If you have existing fitted or freestanding furniture, or old, tired laminate or timber kitchens, these can be rejuvenated by preparing the existing surface to accept paint then applying the paint to your chosen colour or effect. Use your imagination: As paint can be applied to almost any surface, old or new, the possibilities of transforming a simple piece of furniture can be as spectacular as your imagination can stretch to.I have painted old wooden chests, book cases, tables, chairs, dressers, various cabinets and fire surrounds, to name but a few. The Environment: Year upon year hundreds of old solid wood kitchens are thrown in to land fill sites to be replaced by new kitchens. You can help reduce the impact this has on our environment by having your kitchen/furniture professionally painted . I recommend using Farrow and Ball paint as all their paints are water based, eco friendly and comply with the latest EU environmental legislation regarding the VOC (Volatile Organic Compounds) content of paints. Their finishes are all low in odour and classified as either low or minimal VOC. Some of the effects I use include: graining shabby chic antiqued distressed granite various marble solid colour If you have an unusual colour scheme in mind, don’t worry – I can mix the paint to match almost anything. The Pentland Kitchen Company was formed by Aaron Mundin and Leon Rousseau and draws from their 20 years experience to ensure complete customer satisfaction from the initial survey, through the design consultation process and to final installation. We are able to cater for all budgets and projects, from full kitchens and utility rooms through to worktop and door replacement. Book an appointment today to discuss your individual requirements. 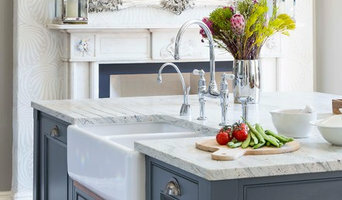 There are many types of kitchen professionals in Heriot, Scottish Borders, UK – from cabinet makers, to carpenters and interior designers – and many trade professionals offer a full suite of expertise. Depending on the size of your kitchen renovation, and the kitchen designer, they may also hire contractors on your behalf and manage the project from beginning to end. Here are some related professionals and vendors to complement the work of kitchen & bathroom designers: Kitchen & Bathroom Fixtures, Appliances, Tile, Stone & Benchtops, Joinery and Cabinet Makers, Carpenters. 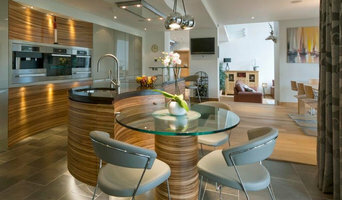 Find a Heriot, Scottish Borders, UK kitchen designer on Houzz. 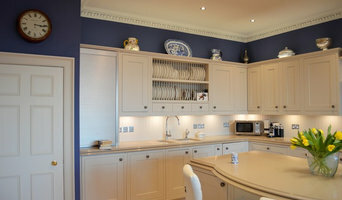 Browse the Professional section on Houzz to find kitchen designers in Heriot, Scottish Borders, UK. Then, scroll through photos of their latest kitchen renovations and see how their work compares to the scope of your project. You can read reviews to see how other homeowners rate their work, and message them directly to to ask any specific questions.